Oswego County Traffic Safety Board and the Governor’s Traffic Safety Committee are sponsoring a certification class for new child passenger technicians in November. 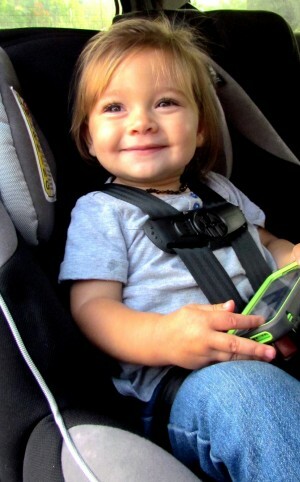 Sydney Webb, 18 months, of Oswego, is pleased with her new car seat! Students will receive a two-year, national certification, renewable on-line and with community involvement in child passenger safety checks. The course dates are as follows – all classes must be attended. Nov 6, 7, 8 and 15 from 8 a.m. – 5 p.m. at the Oswego Town Volunteer Fire Department. Fee is reimbursable to $40 upon printed proof of registration in the class.